Perfect for a basic access control system where control of one door is necessary to maintain tight access control over your workspace, with the flexibility of networking and management software. The AC-115 is ca compact, powerful, quick and easy to install all-in-one netwokred single door controller. 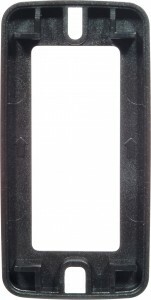 It provides extremely cost-effective solutions for small networked applications of up to 8 doors. This unit can control 2400 users (in/out), with advanced security rules and features, and inldues user-friendly PC software for management, configuration, monitoring, and reporting. The AC-115 includes a built-in sounder for doorbell, chime and alarm sounds, and a built-in backup battery charger. Each AC-115 supports a single door with power and control for 2 readers (IN/OUT), a 1.2 A lock strike, door monitor & REX input, and has a built-in backup battery charger. With the PC software (AS-115), the system works seamlessly in online and offline modes. A 2000 event offline FIFO history log is stored in non-volatile memory that can be uploaded to the PC. Up to eight controllers can be connected in a reliable and proven RS-485 network that interfaces with the PC software using one RS-232 to RS-485 converter. It is compatible with a variety of Rosslare’s readers, and third-party magnetic lock strikes to suit the application with a Form C locks strike relay for failsafe or fail-secure installations. 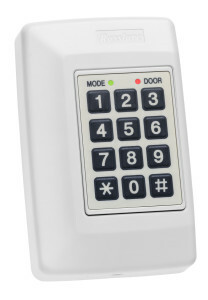 Unique features include internal bell sounder enabling doorbell, chime, and alarm sounds. Click the button below to add the Rosslare Single Door Network Controller Kit AC-K03 to your wish list.